I was traveling to Austin for SXSWi all day today and didn't have any blog posts scheduled - I fail at entertaining you!! 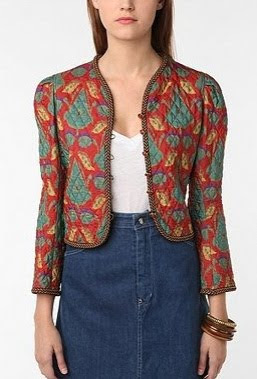 I beg for you forgiveness with this offering: a link to a fabulous vintage YSL blazer for just $179!! Buy at Urban Outfitters, who apparently has a vintage section now.